made possible by temporary pitch. Space in urban areas is scarce, yet people want to enjoy exiting sport events in the comfort of their own city. Sports pitches require a lot of space, are sometimes needed only for a short period of time, but always have to comply with strict guidelines and regulations. So how can we create a pitch for field-sports or equestrian purposes, in dense urban areas, in existing parks or on top of existing, ‘but-the-wrong-kind-of’, fields? 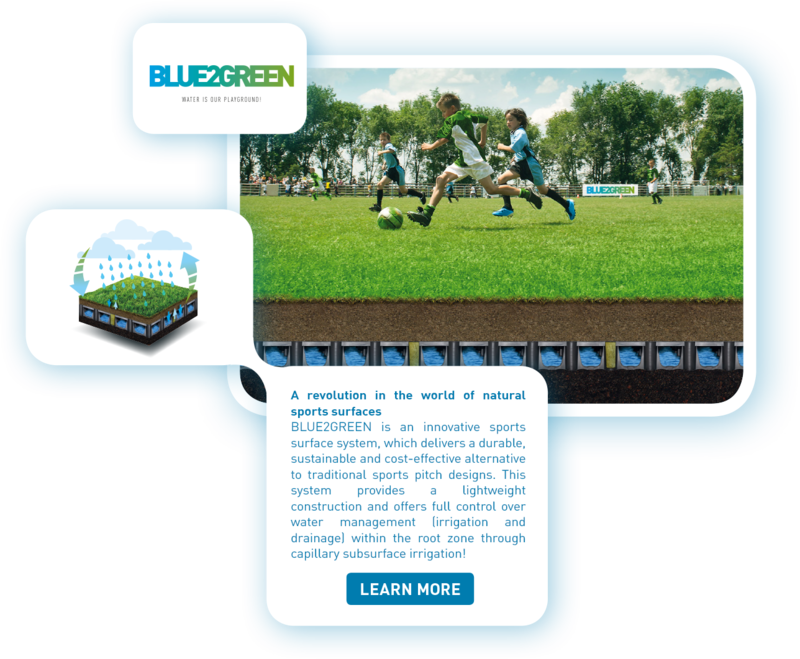 Temporary Pitch is founded on lightweight, hollow and rigid geo cellular units as sub base, providing drainage and irrigation, on top of which the equestrian, synthetic or natural turf pitch is installed. 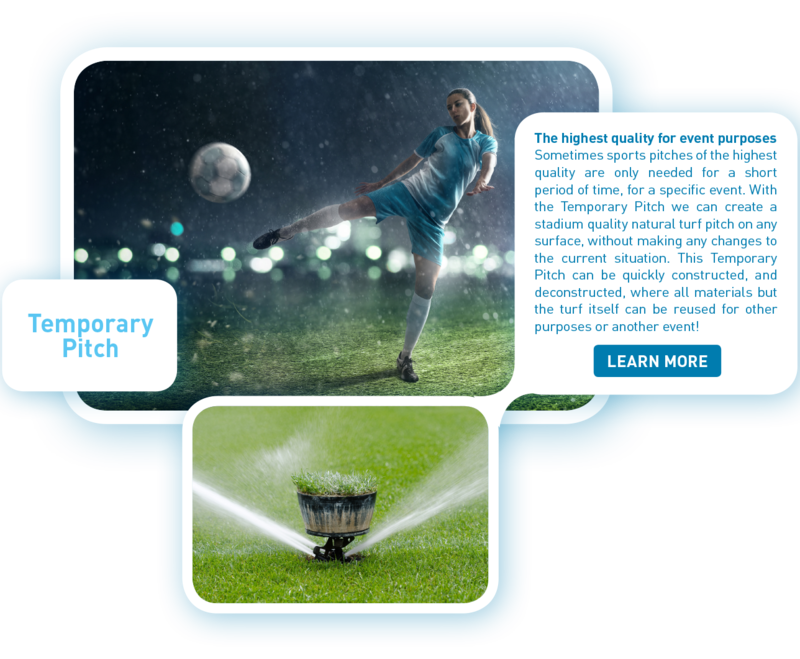 Whatever you build this Temporary Pitch on; paved areas, grass in parks or existing synthetic turf pitches, it stays as-is and can be used business-as-usual after the pitch has been deconstructed when the event is over. Constructing the Temporary Pitch does not involve digging or creating a subsoil foundation. It is a truly ‘floating’ field. Whereas fields sometimes require as much as 30-60 cm of soil, the unique combination of the geo cellular units with capillary irrigation needs a soil depth of 20 cm only, for both natural turf field sports or equestrian surfaces, immensely reducing the amount of material needed to be transported to, and from, the site. For equestrian purposes special approved and tested mixes are available and in cooperation with STRI and local turf growers stadium quality turf throughout the event can be guaranteed. In preparation for the event the proper soil mixes for equestrian or field sports purposes are researched and sourced locally wherever possible. 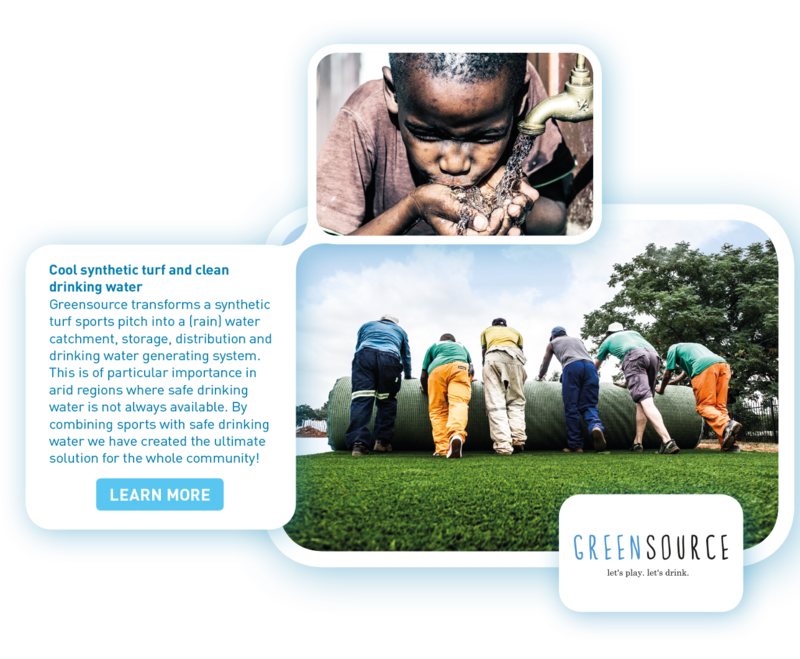 Turf is grown in conjunction with local growers to meet all standards for professional sports. The geo cellular sub-base units delivered on site and placed, usually in one or two nights, after which the soil and turf can be installed. In cooperation with local companies stands for spectators surrounding the pitch can be erected as well. 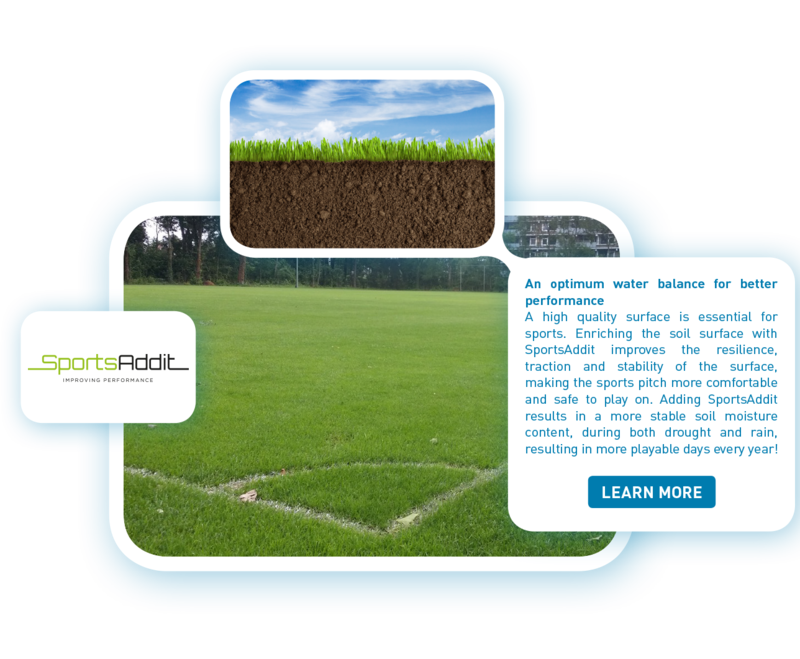 During the event, turf is irrigated by capillary irrigation from the sub base units, which also act as drainage system, quickly draining rainwater to minimise field-down-time due to weather conditions. When the event is over the process is reversed. All materials, including soil and sub base system, can be disconnected, stacked, taken back in stock and reused for another project. Nothing is wasted and the site returns to business-as-usual! Just imagine.. A car park today, but a soccer stadium, hockey pitch or equestrian track tomorrow!